Theory informs practice and without a solid theoretical base we risk having an impaired praxis. This is clearly noticeable in the education sector where the teaching pedagogy is directly shaped by the theoretical traditions underpinning one’s teaching philosophy. For instance, inline with the ethos of their constructivist theory, progressivist educators tend to favour a dialogic, autonomous and student-centerer type of teaching where learners are encouraged to take responsibility of their learning. So it stands to reason that being cognizant of the multiple learning theories that make up the different teaching pedagogies can help enhance and diversify our teaching strategies in ways that will benefit your students. 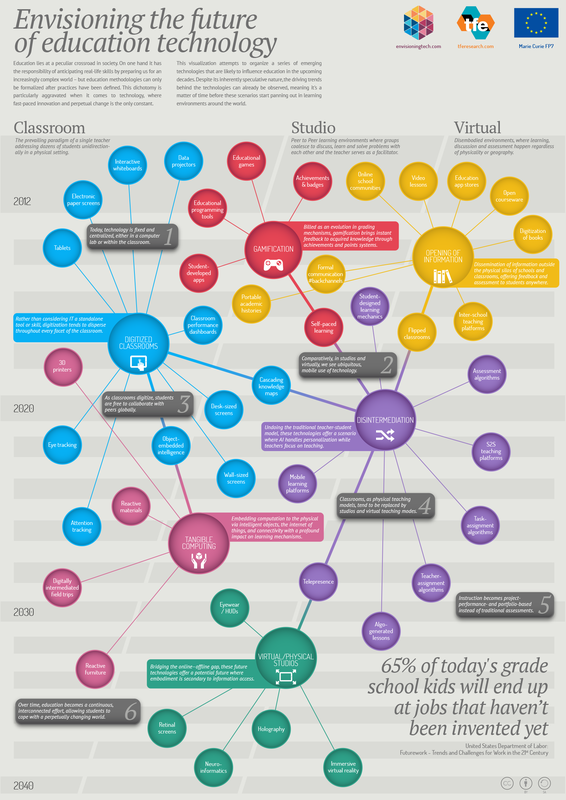 To help you learn and refresh your memory about some of the leading learning theories in educational literature, we are sharing with you this excellent resource from Instructional Design that features over 50 learning theories. 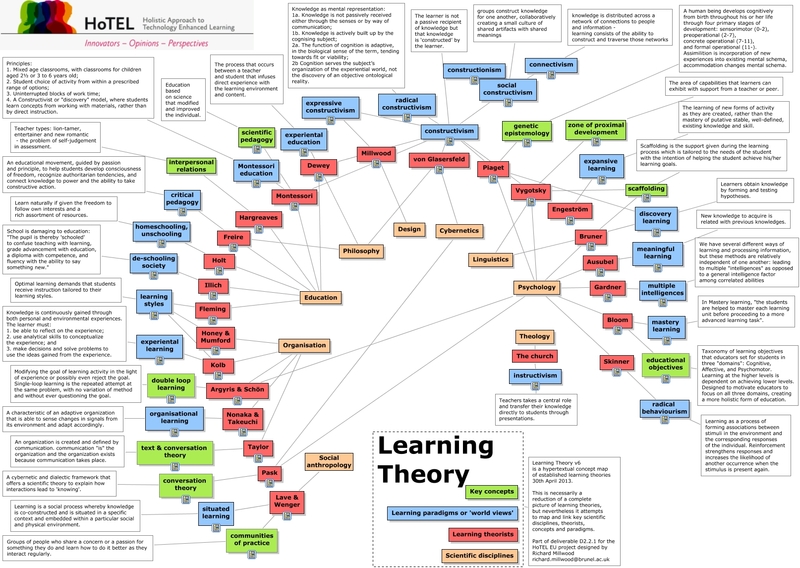 Each theory comes with a short definition, a section on how it is applied, few examples illustrating the use of the theory, and a final section with resources and references to learn more about the theory in question. 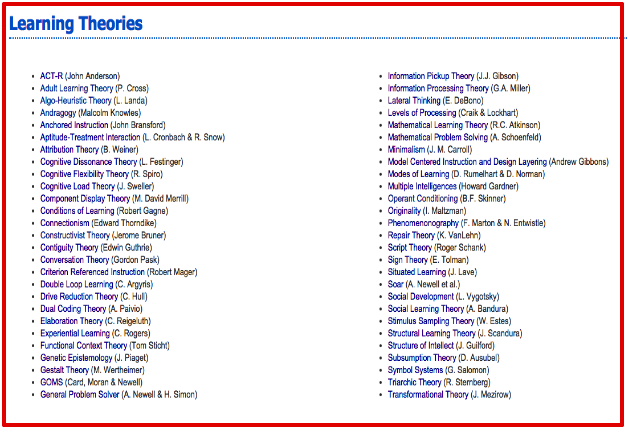 Next time you are in doubt about the principles underscoring a given learning theory, check out Learning Theories page to help you out. Enjoy.